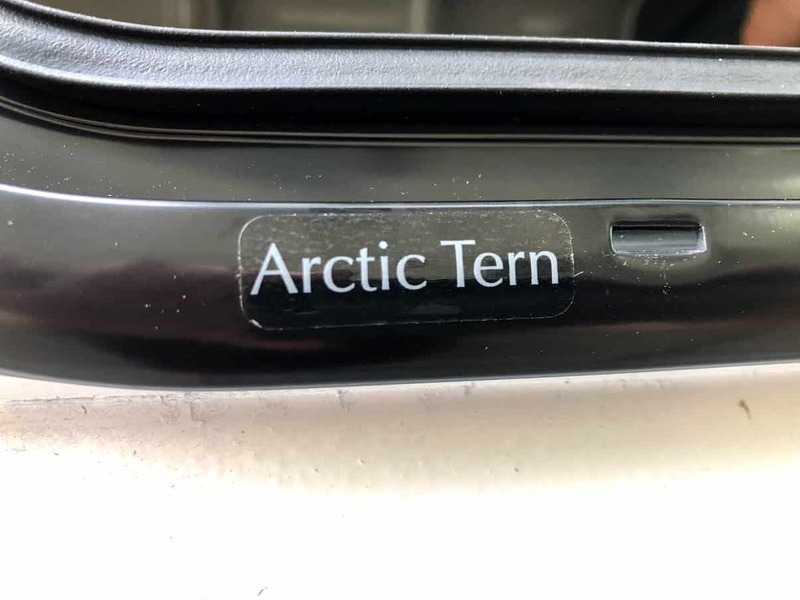 Arctic Tern – Sprinter Van Windows. 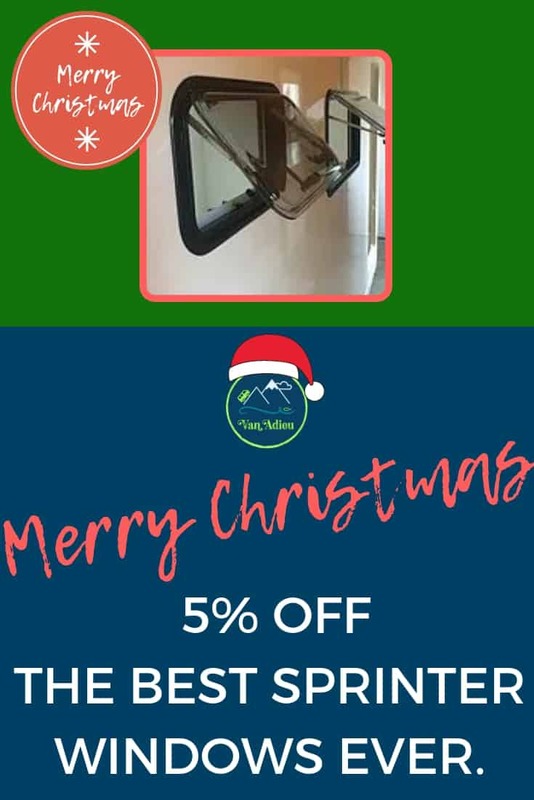 TL;DR: Arctic Tern Windows are Awesome and if you click here and mention Van Adieu, you get 5% off of your entire order! Never heard of them? Don’t worry, you aren’t alone. These acrylic windows are common in the European RV Market. But get ready, because these acrylic windows are about to take the U.S. Sprinter Van Conversion world by storm. When I say that these camper windows exude quality in every aspect, and are designed to meet the needs of serious travelers and overlanders, I’m serious. Get ready to have your mind blown! 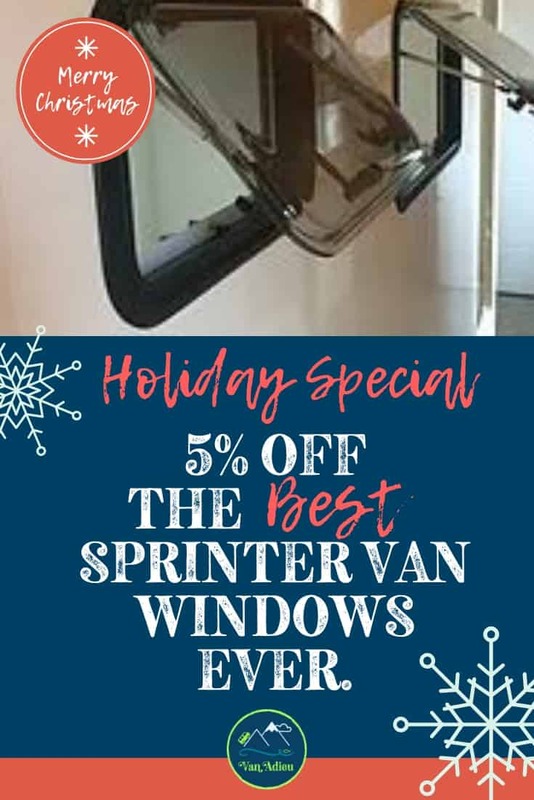 These windows are also called “Dual-pane Euro Acrylic Windows” in some circles, but the bottom line is that if you are putting windows in your Sprinter Van, do NOT hesitate, get these. Here is a VIDEO of why we got these Acrylic Sprinter Van Windows for Van Adieu, and then we will explain in even more detail below! Have you ever been out in the fall or winter? It’s COLD. The air will seep slowly into your vehicle and, let’s just say that it will be the opposite of cozy. These Acrylic Windows are DUAL PANE. They have this locking system that seals everything shut! Plus, that makes them safer in my opinion because the locking system totally prevents anyone from opening the windows from the outside! Insulation AND safety! Unlike normal Sprinter Van slider windows, similar to the popular CR Laurence windows, these units allow the full size of the window to be open for maximum ventilation. They open all the way, people. No small little sliding feature that allows you a small breath of air if you are lucky. ​These windows can be set at 10 and 35 degrees open for the 300mm size, and 20, 40, and 60 degrees for all of the other sizes. These window also feature a semi-lock position that allows air in during stormy conditions. Think about that. You can literally OPEN YOUR SPRINTER VAN WINDOWS. Shocking, right? Here’s a quick little video of how these RV windows, which can be used in Sprinter Van Conversions work! But wait, we’re only getting started. They feature double pane acrylic windows that are made in Europe and meet strict European ECE standards. Acrylic? Yup. Acrylic. You know what that means?Even with all these features, these windows weigh barely 60% of a similarly sized glass window. We all know what it means to have your sprinter van conversion weigh less, and normal sprinter van windows are made of glass and crazy heavy. With all of that extra weight lifted, you will have more weight to allow for important things like …. I dont know, an industrial espresso machine. Hey, a girl can dream right? But I digress. Window Screens and Window Shades, Baby. What’s that? You don’t want the windows to open out all the way because you don’t want to get eaten by bugs? No worries. A separate interior cover panel contains the retractable fine mesh insect screen on the top, and a blackout blind with reflective exterior on the bottom. These can be used separately or together for infinite combinations of privacy and air. The blind also creates a second dead air space for maximum thermal efficiency in very cold conditions. So you can open the camper windows any degree you want, or not at all, and just open the screen. At night? Close the shade. I mean, seriously. These sprinter van windows are amazing. Lastly, these windows can serve as an emergency exit. Ok, that’s like the icing on the cake, right? We’ve all heard about Sprinter Vans that catch fire, or get in accidents. Life happens, unfortunately. These windows allow you to actually escape. Thats HUGE to me. UV resistant, double pane, gray acrylic glazing – these things just don’t scratch like glass windows do! Three panel thicknesses to accommodate 24-34mm, 34-44mm, and 44-54mm (custom wall thicknesses available, call for information) – On this one, we actually had an issue because the wall of one side of our van was quite a bit thicker, as it is a very unique Sprinter Van with a side that completely lifts up (awesome, right?) Well, the thicker walls we had can be accommodated by Tern Overland’s custom made expansion rings. And I have to say, it worked out amazingly for us. 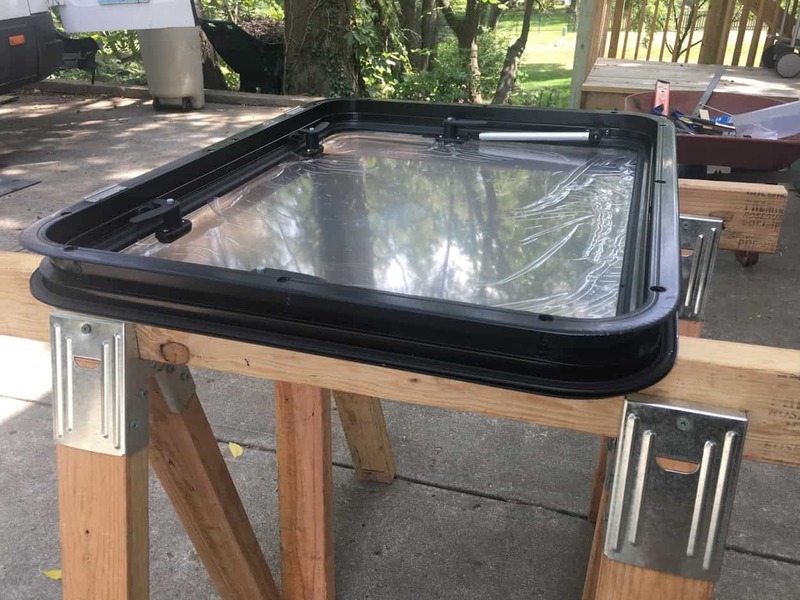 Tern Overland has a complete in house parts and service department and they warranty the camper windows for one year against defects in workmanship and materials. That’s pretty incredible. We have another post coming soon showing our Mercedes Sprinter Van Window Installation! 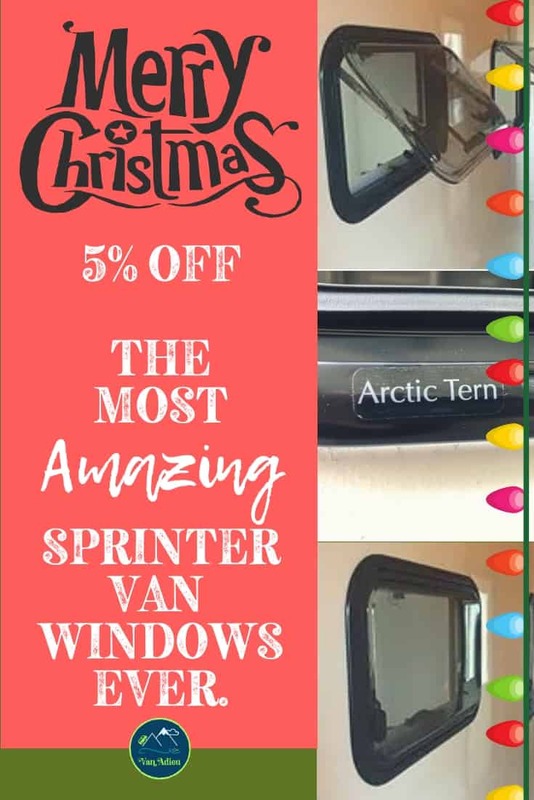 In the meantime, check this video out from Tern Overland, it really does explain a great deal as to how these windows work perfectly for Sprinter Vans! Plus, they have fantastic customer service! On top of offering a Installation Guide, Aimee and David are always available to answer questions – they are seriously the sweetest people, and have a passion for these products! In fact, they offer a wide variety of other products, such as other Windows and Custom Expansion Rings, Roof Hatches, Euro Door, North American Door, Cargo Access Doors, and other components such as theLocking Bulk Water Filler, Electrical Receptacle, and Window Cleaners, Repair cream and Polishes! Honestly, given all of the above, I really can’t think of ONE downside to these windows, other than the fact that they aren’t available as readily as typical Sprinter Van Windows. But even that argument is easily dismissed, given that the folks at Tern Overland are seriously amazing. Like we indicated in the video, and wrote about in this post, our Sprinter Van is really different in that it has one side that completely lifts up and has thicker than normal Sprinter Van walls. They were able to help us find a work around and it is WELL WORTH the extra time. PLEASE let Aimee and David know that you heard of their amazing windows through Van Adieu! Their contact information is (Aimee or David) at www.ternoverland.com or 928-642-3459. And remember, PLEASE don’t forget to tell them that Annette and Todd from Van Adieu sent you! Coming VERY soon, we will have a complete TUTORIAL on how we put these awesome windows in our Sprinter Van! We can’t wait to show you how incredible they turned out!